For many people hair is an important distinctive feature. No matter if hair is short, long, wavy, straight or colored - sometimes hair allows glimpses into the soul of people. Different hair types need different care products which are adapted to the hair type. They provide brilliance to dull hair, volume to fine hair or long-lasting colour to dyed hair. Additonally products for problematic hair are needed. Should it be in case of greasy hair, damaged hair, dry scalp or dandruff - problematic hair reduces well-being of affected people. To remove dirt and grease, it is not sufficient to wash hair with clear water only. Mild surfactants are additionally needed for cleansing. 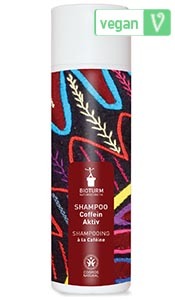 Furthermore hair care products should contain refattening agents to regenerate the scalp, improve combability of dry and brittle hair and straighten hair. Hair types are different, that's why we offer different hair care series. Our new, colourful Shampoo line supports in case of minor problems - such as greasy hair, thinning hair, lack of volume or damaged hair. 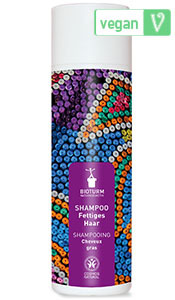 As a tribute to the different world's cultures, every shampoo package was decorated with another design of different ethnic origin. Furthermore, our proven classical line offers solutions for dry scalp and dandruff. These products contain our lacto-intensive active complex which calms and normalizes irritated scalp and provides extra care for the hair. Our lotus line gives intensive moisture, especially to brittle and dry hair. 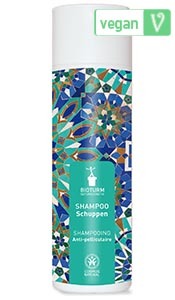 Shampoo, conditioner and intensive hair treatment together are suitable as a caring treatment. All BIOTURM hair care products are certified as natural cosmetics. We completely renounce sililcones, parabens and paraffins. Ideal cleaning for normal hair with a pleasant fresh scent. Perfect care for greasy hair - for a long lasting feeling of freshness. 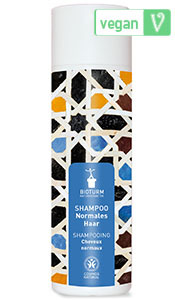 Gives back brilliance to dull hair. Mild cleaning in case of damaged, stressed and straw-like hair. Strengthens weak or fine hair without volume and provides for a brilliant gloss. Caffein for weak and thinning hair. Intensive care for dyed blonde hair and blonde highlights. More brilliancy for dyed red hair with a fruity fresh scent. Complements and optimises the care program for normal hair. 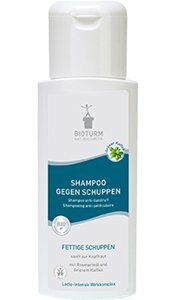 Supports the effect of the SHAMPOO to take care of dull hair. 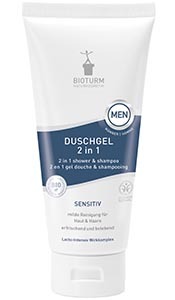 Extra care for damaged hair - for perfect combability. The ideal complement to SHAMPOO and CONDITIONER for intensively cared hair. Ideal extra care for dyed blonde hair and highlights. 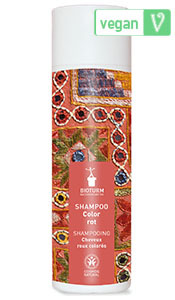 Supports the effect of the SHAMPOO to take care of dyed red hair. 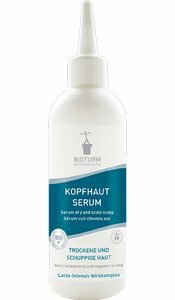 In case of dry and small dandruff - helps to regenerate dry, itchy and sensitive scalp. 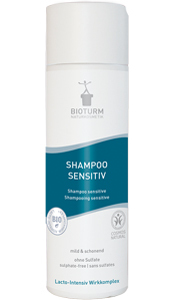 The Shampoo sensitive without sulphates gently cleans. Especially suitable for sensitive scalp. The effective cure treatment against greasy dandruff - with improved formula! The additional care of the anti-dandruff trio for the scalp. 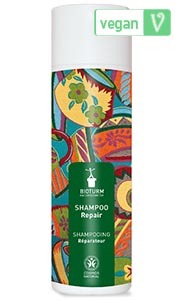 Gives back silky gloss to brittle and dry hair. 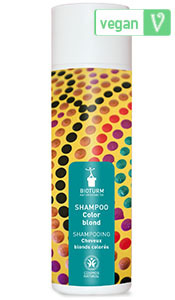 Supports the effect of the Shampoo lotus effect No.17 to take care about dry and brittle hair. 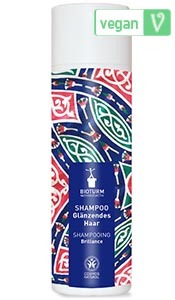 Ideal complement to the shampoo and hair conditioner of the lotus line. Provides intensive moisture and smoothes the hair structure.